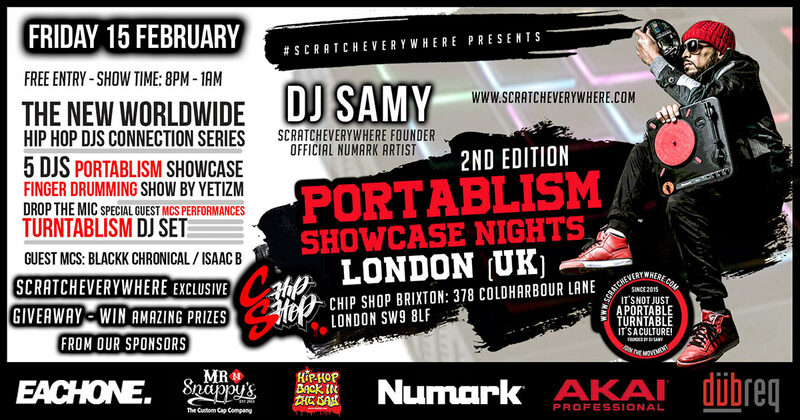 #Scratcheverywhere movement | "Spreading the Portablism culture worldwide"
Friday 15th 2019: “Portablism Showcase Nights” 2nd Edition in LONDON (UK). 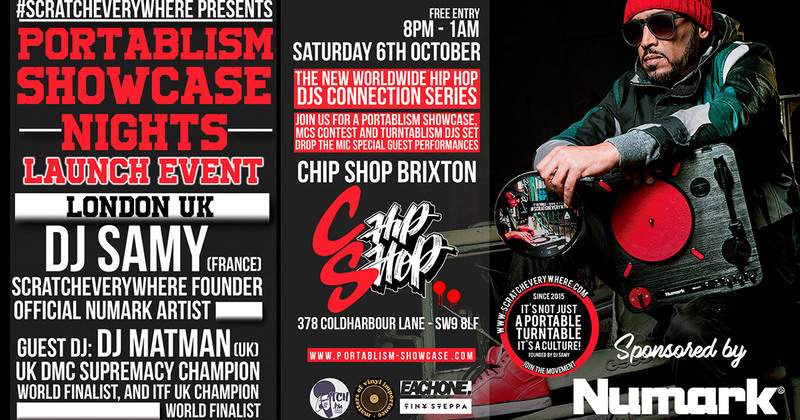 Numark collaborated with DJ Samy to kick off “Portablism Showcase Nights” launch event at Chip Shop in London (UK). 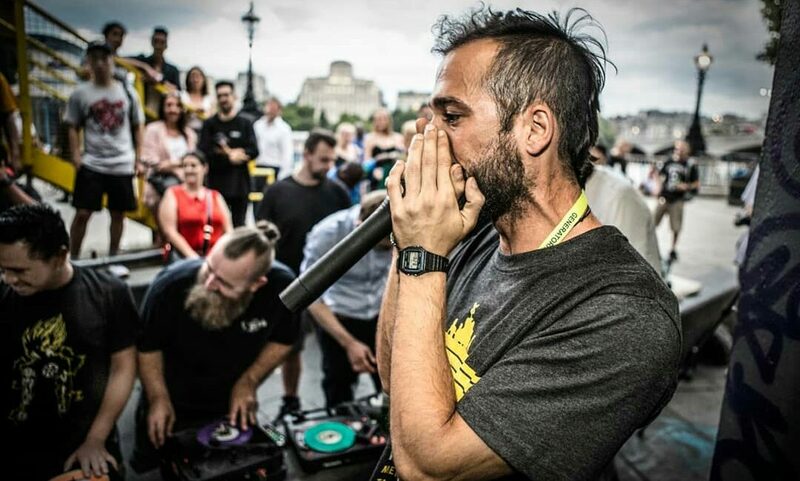 The purpose of the event is to bring the PT01 Scratch as the center of the Hip Hop culture, and showcasing a new element where portablist collaborate with emcees and turntablist. 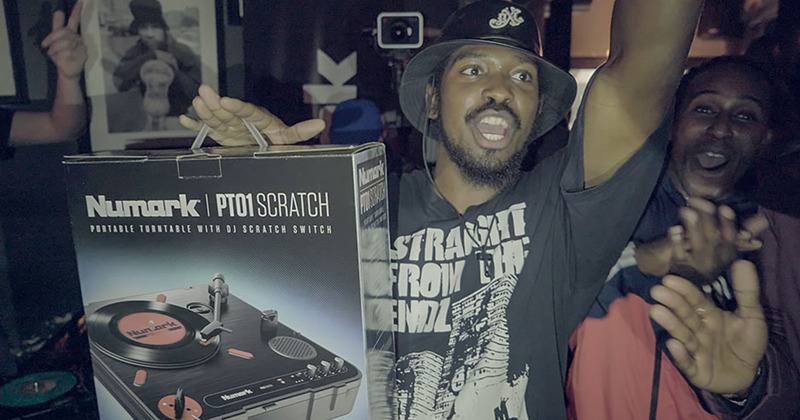 A Scratcheverywhere event! 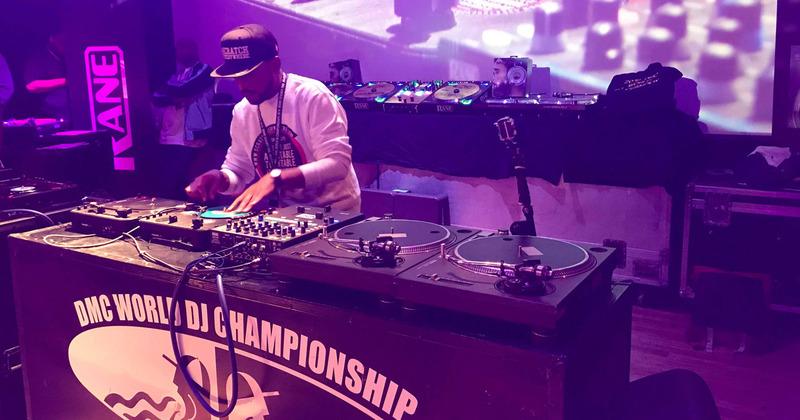 Honored to see our founder DJ Samy showcasing Portablism for the first time in the history of DMC World DJ Championships in London (UK). Portablism got also its first ever official portablist competition. (October 2018 – London). "The Drummer & The Portablist". Another #Scratcheverywhere video to spread the #Portabism Culture in a different way (August 2018). 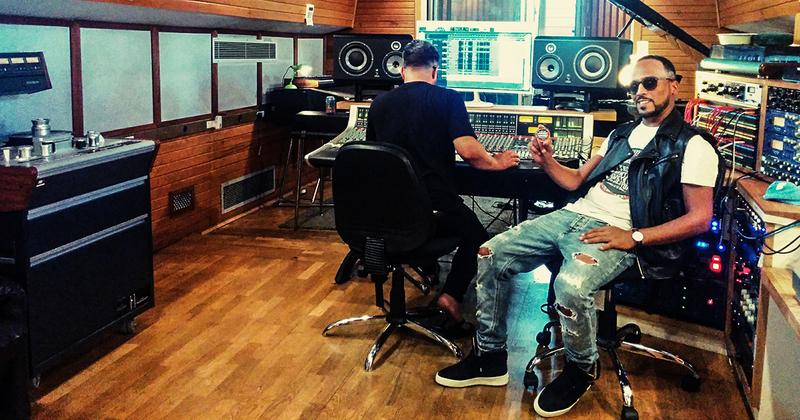 Huge shout out to Freddy Sheed (#Drummer) and Myles Clarke (Producer / Engineer) for this amazing moment at Grand Cru Studio in #London (UK). Second edition of this amazing Portablism Link Up in London (UK). A unique PT01 Scratch DJ Link Up in the heart of London at Southbank Undercroft Skate Park. HOXTON STREET VINYL CAFE MATTERS OF VINYL IMPORTANCE is set to host an all day vinyl party! 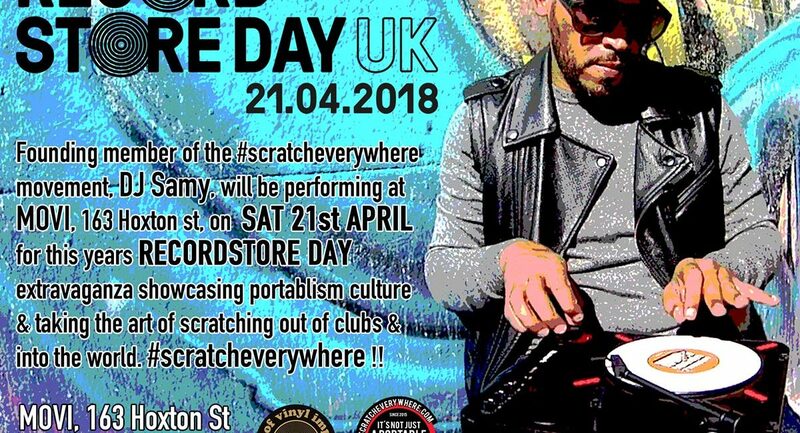 DJ SAMY, Founding member of the #scratcheverywhere movement will be performing at MOVI, 163 Hoxton St,London N1 6PJ, on Saturday 21st APRIl for this year RECORDSTORE DAY extravaganza showcasing portablism culture & taking the art of scratching out of clubs & into the world. 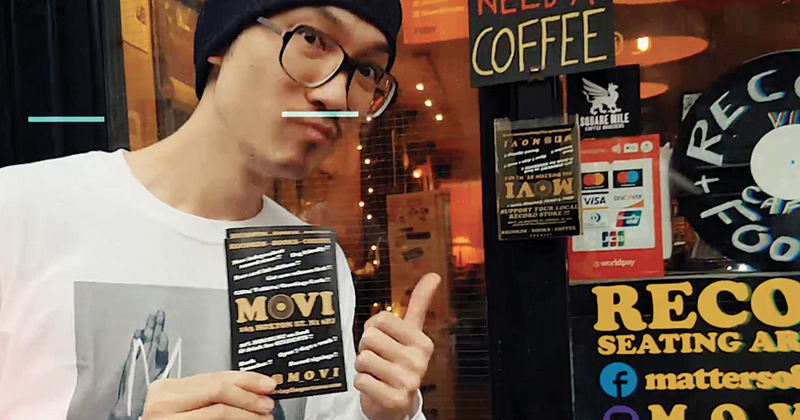 Scratcheverywhere Founder meets Spinbox Founder at one of the best Record Store in East London (United Kingdom): MOVI (Matters Of Vinyl Importance). A #Portablist Scratch session with Dj Samy & Dj QuestionMark. 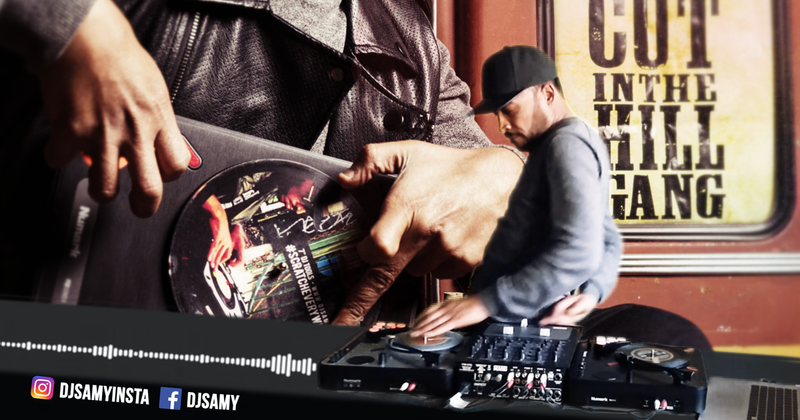 Peep DJ Samy's routine with two Numark Portable turntables. Spinbox: A portable turntable that you assemble yourself in just 18 minutes! 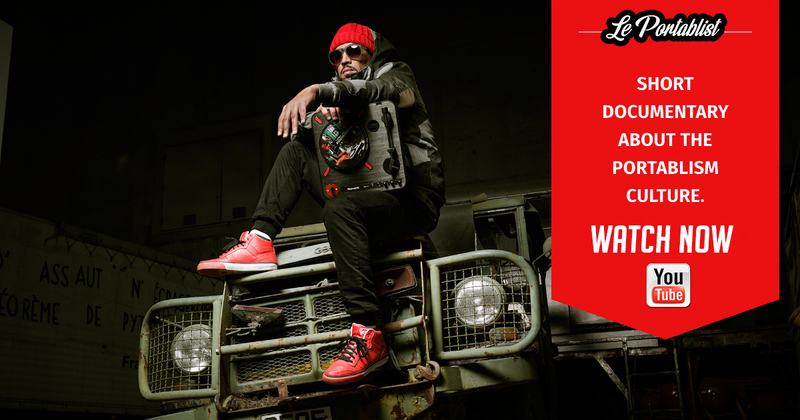 It's all about spreading the portablism movement all over the world! Send us your video here. Copyright © 2016-2018 scratcheverywhere.com | 5, Rue Rigord 13007 Marseille, France - Tél : +33 6 11 68 43 78 | All rights reserved.